This Year Salto are moving to an exciting new way to take bookings and payments. We’ve partnered with ClassForKids to provide you with an easy to use, modern and secure online booking system. This new booking system will allow us to focus on making our classes the best they can be, rather than admin. Using this new system, you only need to insert you and your child(ren)s details once and they’ll be stored for all future bookings. You can book anywhere, anytime on any device, when it’s convenient for you. Once you find your class, select “info and booking” and follow the steps to create a ClassForKids account (if you don’t already have one). You’ll automatically be taken straight through to complete your booking and pay. Please be aware that although classes may look full there are always people who are not able to take up their places so if you want a place at Salto make sure to get your name on the waiting lists for classes you are interested in. 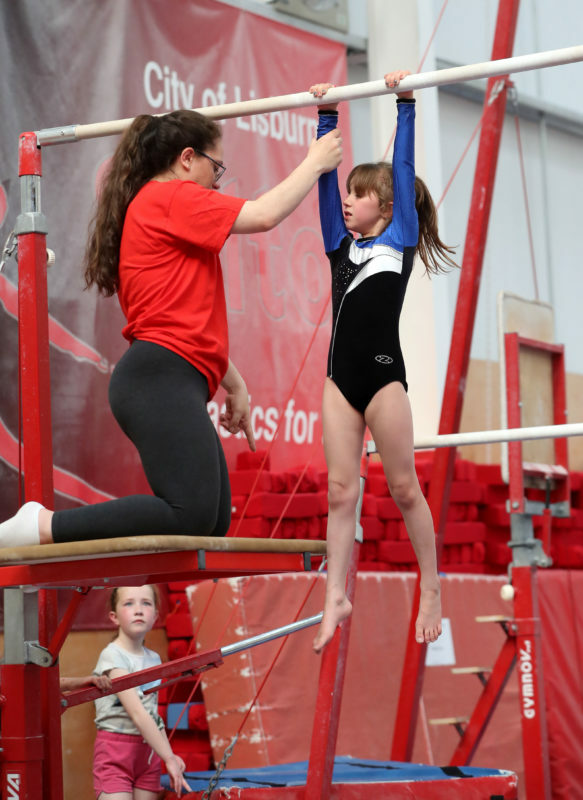 Please add your British Gymnastics Registration number during your signup. Your child will be unable to take part in classes without a valid membership number as it covers their insurance. If you do not have this number please go directly to the office at Salto on your first day before class. Your payment covers the cost for the classes you have selected at Salto Gymnastics. Annual Membership Fee of £20 pro-rata is also payable for new bookings and will be charged at checkout. 1. Once you have found your child’s appropriate class click on the “info and booking” button. A new window will open. Click “book this class”. Fill out all the required information and click “payment”. a. Online payment with a credit or debit card. As with most online payment providers there is a process fee of 3% of your total bill plus an 85p transaction fee. We choose to keep these payments transparent rather than increase our prices to allow our parents the choice. b. By bank transfer – Account details provided online. c. Payment in person with cash or cheque. First register for your class online as normal. Select one of the “pay Offline” options on the payment screen. Then either phone Salto to pay via telephone or if you are paying cash or cheque, payment must be brought to the Salto office on weekdays between 9am – 6pm two weeks before your child attends. 3. If payment is not received your child will not be allowed to participate in class and your spot will be released to another gymnast. You will receive an email and text notification of this. 4. If you are registering more than 1 child there will be an option to add additional children. You must register all children in the household at the same time. Please then contact the office in order to receive the appropriate child discount. If you have any queries or questions about the above information please do not hesitate to contact us. Thanking you in advance for your patience during this time of transition.